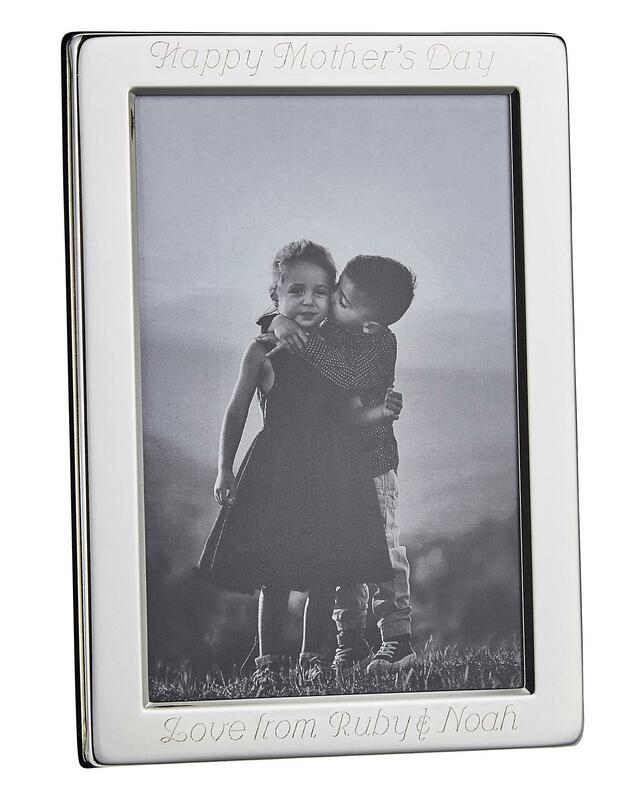 Personalised silver-plated photo frame. This photo holds one 4 x 6in. photo and can be personalised with a message up to 60 characters including spaces. H.17.4 x W.12.3 x D.1.2cm.